It’s official. BB creams are no longer an Asian exclusive product! 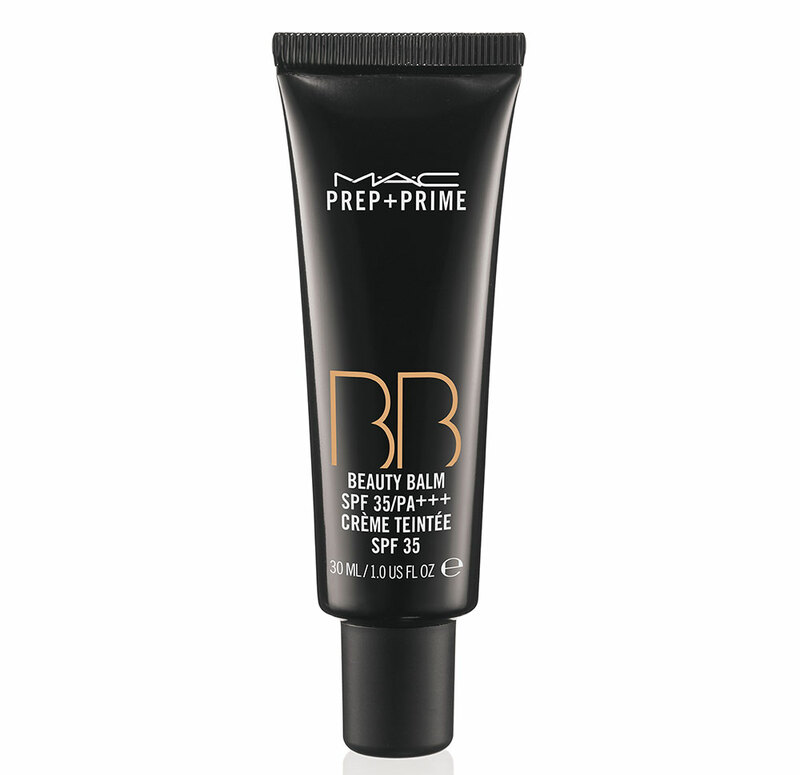 MAC Csometics finally caught up to the BB cream craze in Asia and released its very first – Prep + Prime Beauty Balm UVA/UVB SPF35 PA++ – into the Western market. Similar to most Asian BB creams, the Prep + Prime Beauty Balm is said to come in a “lightweight, creamy formula” and claims to perform a multitude of tasks, including color correction, UV protection, skin hydration and makeup priming. The product is available exclusively at select Travel Retail locations throughout Asia and the US starting May 2010 for US$30. I first started using BB cream back in 2007 and it has remained an HG for me ever since. I’m so glad MAC finally introduced this awesome product into the North American market. Stay tuned for reviews! No clue what BB creams are? Learn more about them here! Are you referring to the Lancome BB Base UV Expert GN Shield SPF50 PA+++? It’s not available in North America. Could you do a review on this when you get your hands on it? I’ve been wanting to try a BB Cream but never tried one because it’s never been available in the U.S. Do you think they will have a variety of shades? i am dying for a review on this and where i can get it!! i wonder if it has more than one shade? OOH i can’t wait! all the asian bb creams have whitening in them which i don’t want… when is it supposed to be out? may 2010 is almost over! OOO fun! Phyllis do you know if this will come in different colors? I’ve always loved the BB cream textures from the other lines but the asian ones tend to be too light. I hope they make this in NC35!! is this MAC BB cream going to be available in Canada as well? I would love to try this, especially since the asian BB creams are two light for my skin tone and they have limited colour selections. Hopefully, MAC has more colour selections, since they have such a wide array of foundation and powder colors. Luckily I am traveling to the states in June, I will have to try to find these. Good news! It’ll be interesting to read the first reviews on it. You know the expectations must be high with a brand like Mac. As for the shades, I *think* there is currently only one but I will let you know asap. Oh and Estee Lauder is releasing a BB cream too and I will be reviewing that shortly as well. Stay tuned! The beauty balm won’t be available on the MAC website but if you’re in Hong Kong, you can try the Duty Free store in Tsim Sha Tsui. When they start selling in the US? I read about this and got super excited and since I’m abroad right now, picked it up at a duty-free store in Korea!! I can’t wait to try it…the texture seems really thin and spreads quite easily! I’m glad you picked it up! I’m still waiting for mine to get here. Please send us an update once you try it out! Got the MAC BB Cream at Duty Free today and it only comes in one shade.Ive swatched it on my hand and the texture is light and blends smoothly. Will try it on my face tomorrow and see what happens. Will update you! just to add that clinique will be coming out with their own bb cream in november so keep an eye out! nexttime i go try Missha B.B Cream, because some say missha is much better than the other B.B Cream products. although DR.G B.B Cream is okey for me i like to try the better one and cheapest one. and also im curious about MAC B.B Cream too. Mac products are soo good and not too harsh when you applying unto your skin. THE BEST B.B Cream EVER!! !